Midway through pianist Behzod Abduraimov’s recital at the 1900 Building, some mystery object clattered on the floor. Had a program fallen off a lap, or a button, perhaps, snapped off someone’s winter coat? Or was the mystery projectile actually a key from the piano, wrenched from its base? The latter, while improbable, seemed almost possible, such was the intensity and muscularity of his performance. Yet, the concert wasn’t just flash technique and power. Abduraimov designed a hefty program, “Love and Death,” with considerable emotional range. This was Abduraimov’s performance to a sold out hometown crowd for the Park ICM Distinguished Alumni Series. 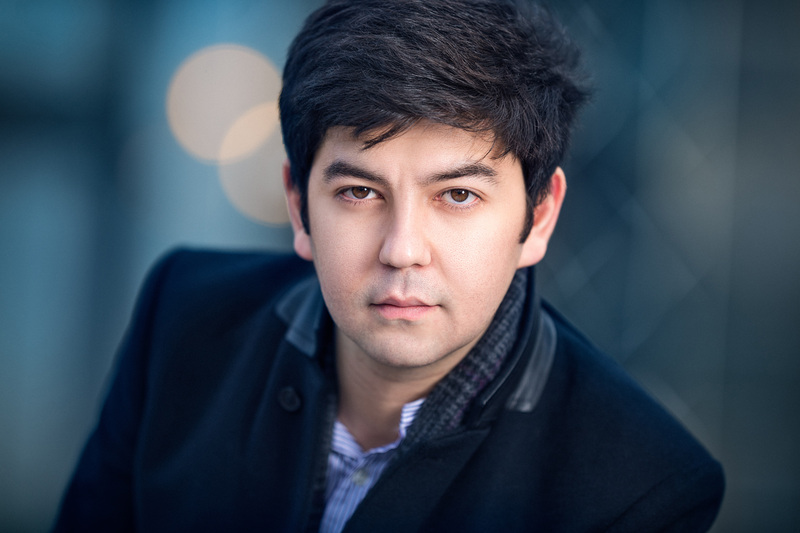 Though he is originally from Uzbekistan, Kansas City claims him, since he started at Park University’s International Center for Music when he was 15 years old and continues the relationship as ICM’s artist-in-residence. A dozen years later, with a blossoming international career, his local appearances are guaranteed an eager and welcoming audience. “Isolde’s Liebestod” by Richard Wagner, arranged from piano by Franz Liszt, was a naturally fitting opening piece, with its front of rebellious chords and waves of continuous aching that swelled and crested with fevered hope. Abduraimov, long admired for his dexterity, proved his maturing sensitivity, too. But his expression and clarity, his deliberate attention to space, captivated the audience, and—for all that thunder—it was his control over the pianissimo closure that held the crowd breathless. One of the marks that distinguishes a gifted performer from a master is the ability to manage the dynamic spectrum, to give exactly as much volume as required but then give further still. There were moments during Sergei Prokofiev’s “Romeo and Juliet” when it seemed as though Abduraimov had expended the capacity of the instrument, yet was able to bring out another level of intensity. This was notable during “Montagues and Capulets,” with the movement’s diabolical undercurrent, but what struck me throughout this performance was the defined characters and profound contrasts. His “Juliet as a Young Girl” had an uplifting giddiness that shifted from shy to bold; his “Mercutio” was edged with desperate mania; his “Masks” shuddered garishly with forced gaiety. 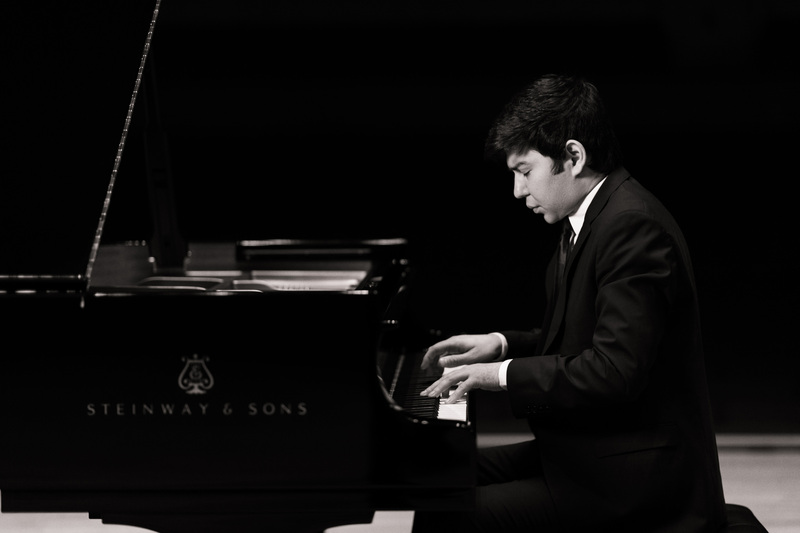 Along with the thematic similarities of the repertoire’s storylines, Abduraimov chose pieces that demanded well-crafted delicacy in the final cadences, creating a memory of infinite control…and unwillingness, from the audience, to disrupt the moment with applause. It was a reluctance the crowd quickly overcame, with a deserved standing ovation and desire to hear Abduraimov on home turf again soon. Reviewed Saturday January 19, 2019. Park International Center for Music presented pianist Behzod Abduraimov in “Love and Death” at 1900 Building, Mission Hills, KS. The music was performed wonderfully, however, I felt the hall was too smal for the music selection. A bigger hall would have allowed his power to flow.